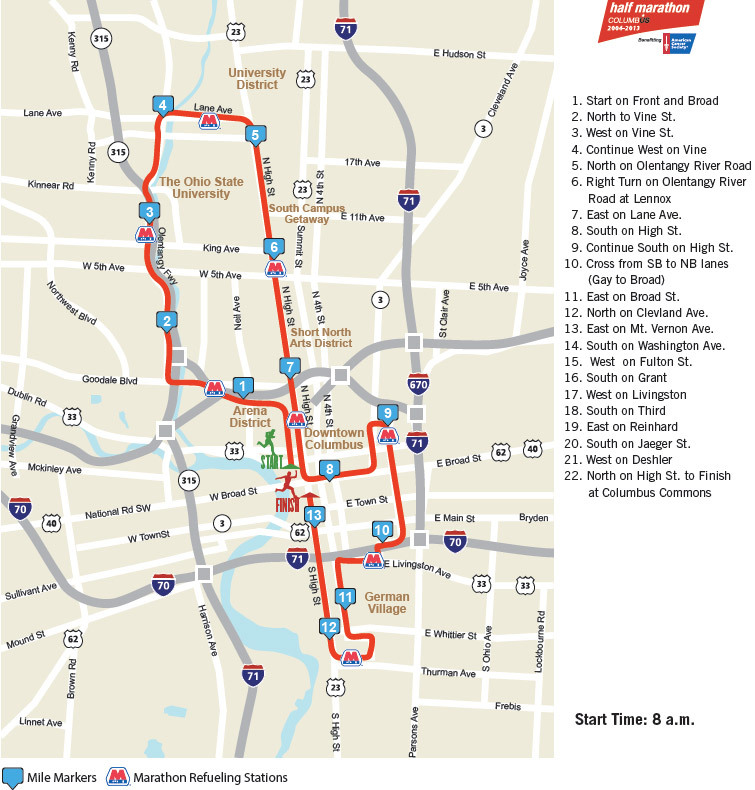 The Capital City Half Marathon with 14,000 runners and 35,000 spectators will pass through parts of downtown, the Short North and through edges of Harrison West this weekend on May 4th from 8AM to Noon. The southbound lanes and the middle-northbound lane of North High Street in the Short North will be closed for the race just prior to the race start at 8:00AM and will then follow a rolling closure format behind the last runners. 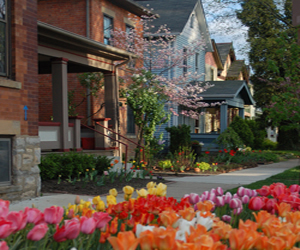 The west side meters on North High Street in the Short North will be bagged on Saturday May 4 at 1:00AM and unbagged by Noon on the same day. No east side meters of High Street will be bagged for the race. The Cap City Half Marathon staff has hired a private refuse collection company to remove all of the trash from the course. After race completion, the marathon staff will execute a final sweep of the course to ensure all areas used are cleaned and trash is picked up.